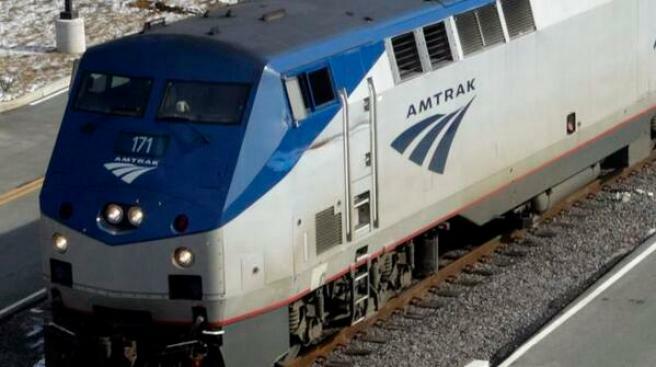 Amtrak resumed service between Baltimore and Washington, D.C., Thursday evening after downed wires caused travel to be suspended that morning. Acela Express and Northeast Regional service resumed around 3 p.m. Thursday following temporary repairs, Amtrak spokesman Craig Schulz said. Traffic that normally travels on four tracks will be limited to one track. Officials believe an Amtrak train pulled down wires near the station in Bowie around 9:30 a.m., Schultz said. MARC Penn line service, which uses the same tracks, also was suspended. The first northbound train to run is Train 430 departing from D.C. at 4:20 p.m. The first southbound train is Train 641, departing from Baltimore at 4:18 p.m.
Schulz says at least eight Amtrak trains with about 1,600 passengers aboard pulled into stations. Two trains were initially stranded in the Bowie area but later reached stations. The Prince George's County fire department tweeted that paramedics removed a passenger suffering heat exhaustion and a pregnant woman.